Blowout Sale! 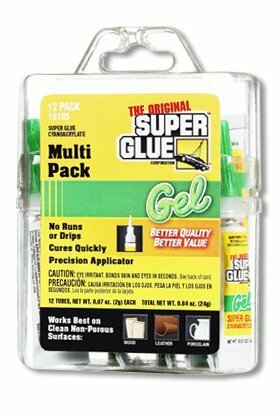 Save 56% on the Instant Adhesive, 2g Tube, Clear, PK12 by Super Glue at N Online Agency. MPN: 15185. Hurry! Limited time offer. Offer valid only while supplies last. ' Instant Adhesive, Size 2g, Container Type Tube, Color Clear, Application Time 10 to 30 sec., Functional Cure Not Specified, Full Cure 24 hr., Temp.